Meyer & Meyer Media, 9781782551928, 208pp. 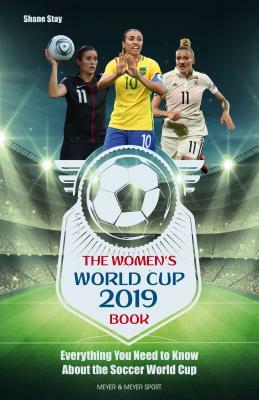 Shane Stay is a bestselling author whose books include The European Soccer Leagues 2019-20, Major League Soccer 2019, THE World Cup 2018 Book, Why American Soccer Isn't There Yet, and The Cairo Project. Prior to this publication, in 2008, he played professional soccer, co-authored a book, contributed to a magazine, bottled Leaf Dressing, worked clubs as a comedian, was a restaurateur, and received a master of arts. In 1999, he founded the first online Current Events Game, CE Game. He has appeared on TV and has featured on numerous radio broadcasts, including ESPN and NPR. He lives in Chicago.